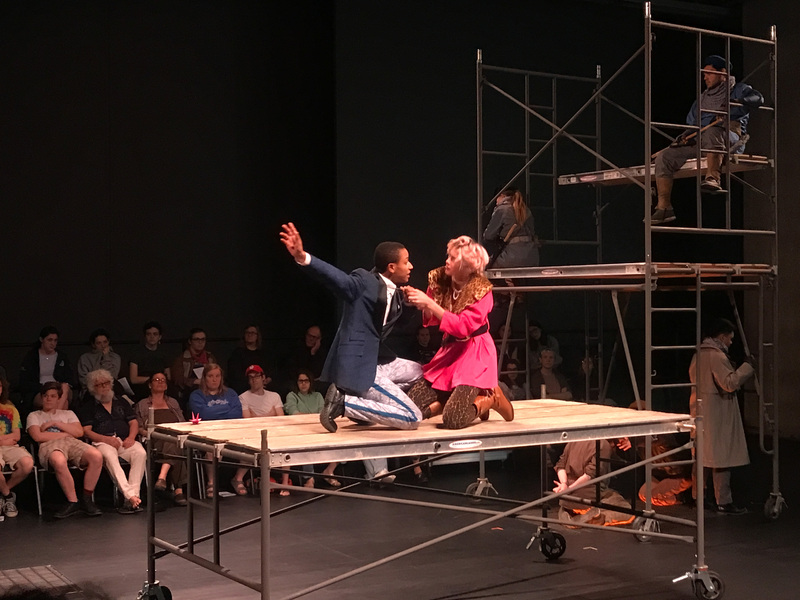 With both “Rhinoceros” and “Life is a Dream” going up this past weekend, philosophical contemplations took center stage at Wesleyan. 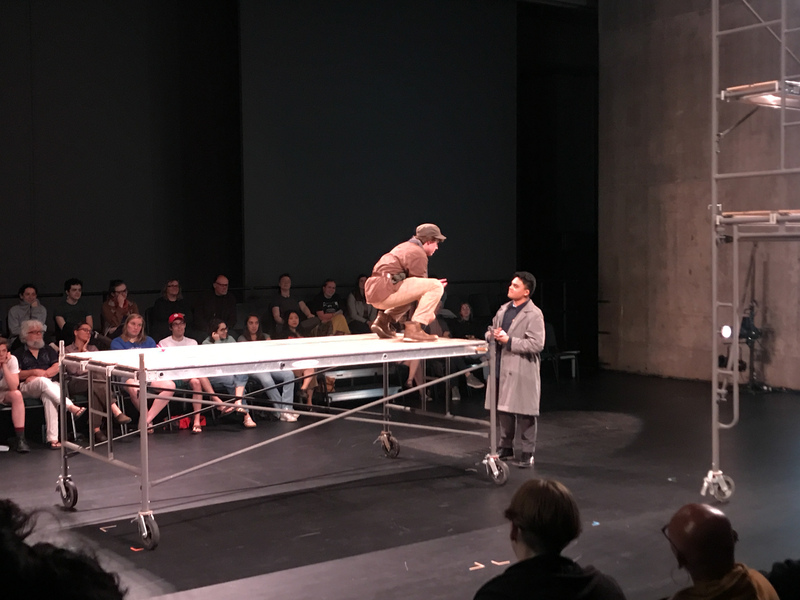 After the wildness of “Rhinoceros” was over, I made my way to the Center for the Arts (CFA) Theater to see the Theater Department’s take on Pedro Calderón de la Barca’s 1636 allegorical play. “Life is a Dream” follows the journey of Rosaura, a woman who enters Poland disguised as a man in order to take revenge on the man who wronged her. She meets Clarín, the joker of the play, and the two are imprisoned after discovering the wretched Segismundo imprisoned in a tower. Meanwhile, Basilio, the King of Poland, reveals that he locked up his son, the same Segismundo, in a tower from infancy due to a prophecy that bad things were to come from him. Basilio decides to give his son one chance to prove the stars wrong, and if he fails then his niece and nephew, Estrella and Astolfo, would rule the nation. Clotaldo, the prisoner-prince’s tutor and guard, gives Segismundo a sleeping draught. In his deep sleep, Clotaldo reveals to him that he is a prince, and Segismundo becomes violent and angry. He dreams of violence and revenge and recounts this dream to Clotaldo, who says that no matter sleeping or awake, one should aspire to be a good person. Characters never know when they are dreaming: Rebels come to find Segismundo and rally forces to overtake the king. While he is tempted to kill Clotaldo for imprisoning him, he shows forgiveness. 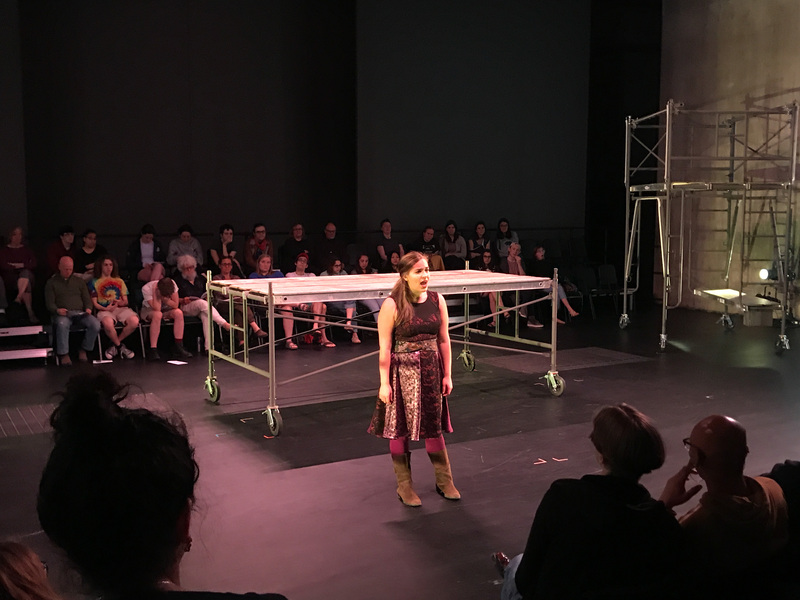 As the play builds to battle, Rosaura reveals the many identities and forms she has taken on throughout the story. She plans to go into battle to kill Astolfo, who deprived her of her honor and left. At the height of battle, Segismundo decides to spare Basilio’s life and is thus granted the rank of king. He takes Estrella in marriage, and Clotaldo has Astolfo marry Rosaura to allow her to reclaim her honor. 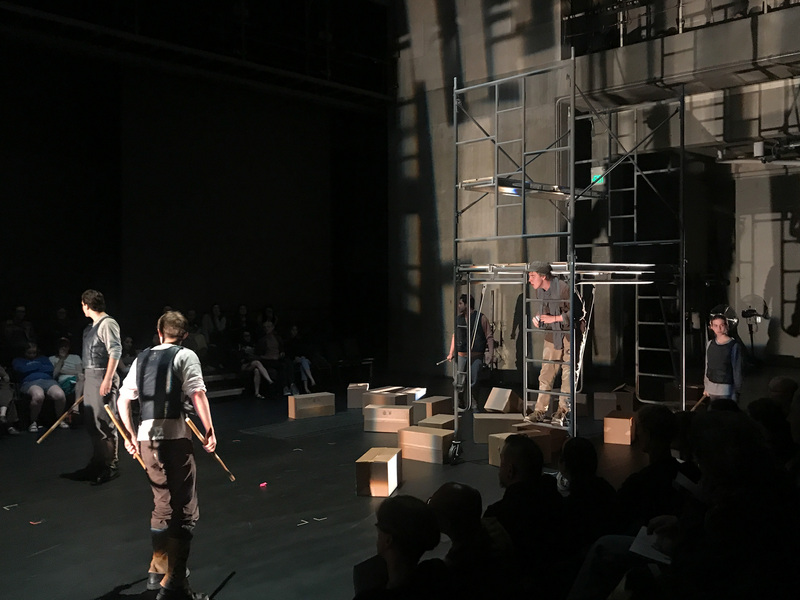 The mixed-up mayhem of this show took place behind the traditional CFA Theater stage in a black-box, three-quarter thrust setup. 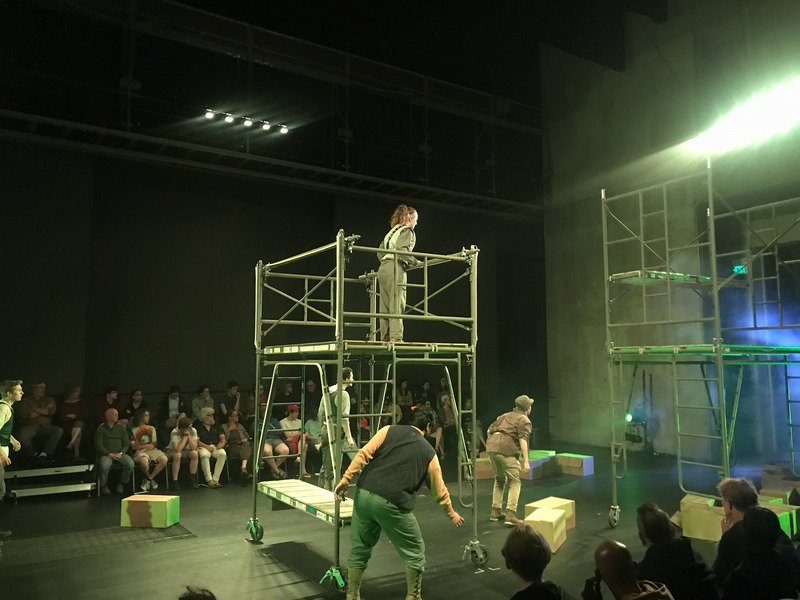 This intimate setting, with the audience surrounding the stage, allowed for an immersive experience on the part of the audience, plunging them into the world of the show, an interesting mix of fantasy and reality. To create this world, an interesting mash-up of costume, lighting, and set design was utilized. 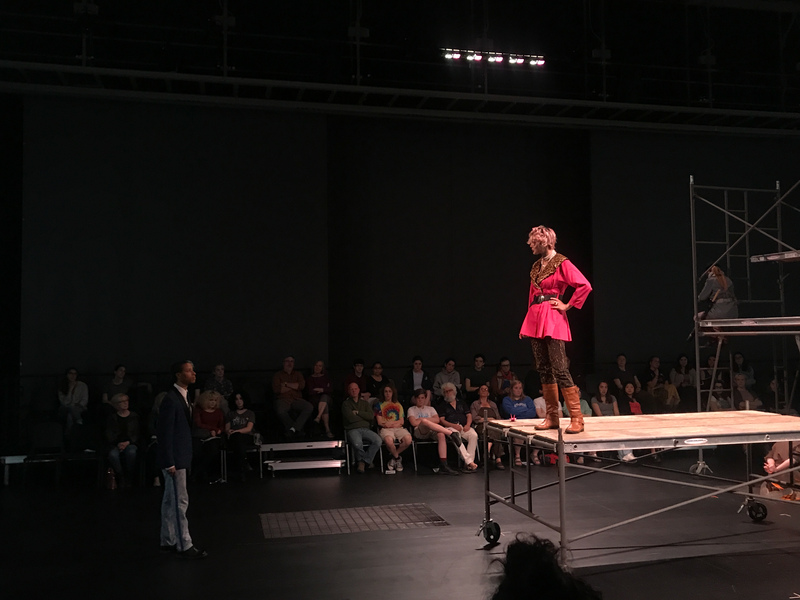 Quite contrary to the elaborate costumes, the set design was extremely simple and stripped down. It consisted mainly of scaffolding build of wooden planks and metal pipes. These pieces were movable and served many purposes throughout the play. 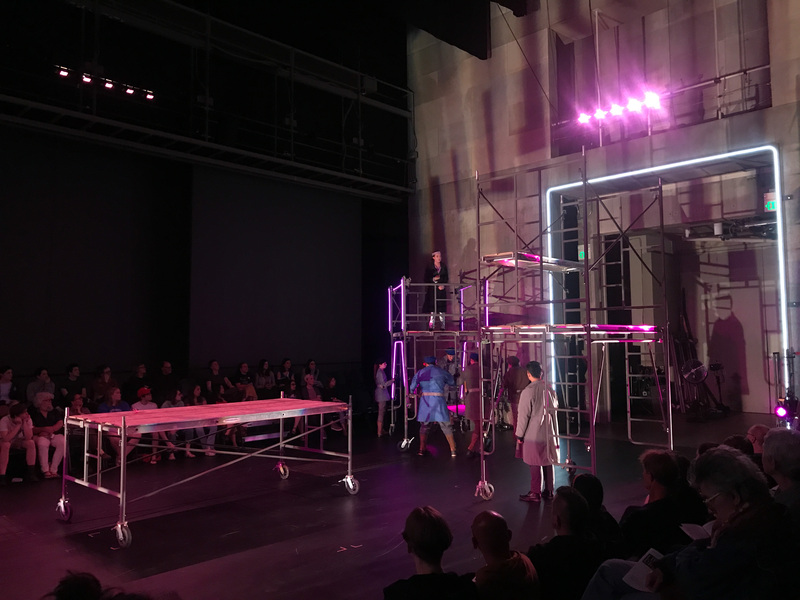 The set was evocative of the classic design of Jonathan Larson’s “Rent”: simple and utilitarian, yet useful and effective. It remained dynamic despite its simplicity because of the level to which the actors interacted with the set pieces. What really shone in this production, however, was the lighting design. I was entranced by the range of tones, which perfectly mirrored the shifting mood of the play. 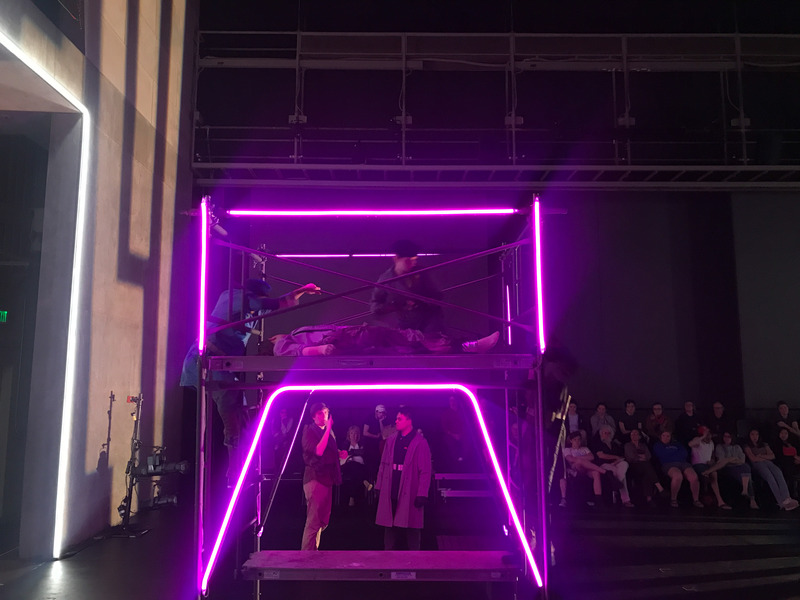 The entrances and scaffolds were outfitted in white and purple neon, and the stage lighting shone hues of green, purple, gold, and, at the end, a single, eerie, white overhead. The combined artistic power of the costumes, sets, and lights transformed the space into a surrealist Poland, enveloping the audience in the show’s wild dream of a world. In this world, both the voices and the bodies of the actors were utilized to their full potential. The show was very well-choreographed, with beautifully coordinated motion by the ensemble. 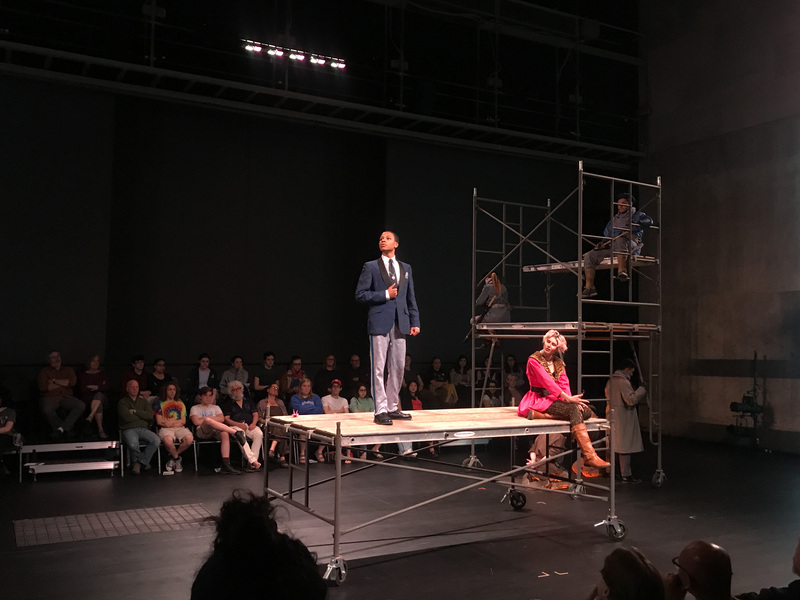 The arc of forgiveness and striving to do good and to be good shows a major evolution of Segismundo and his life philosophy throughout the play. 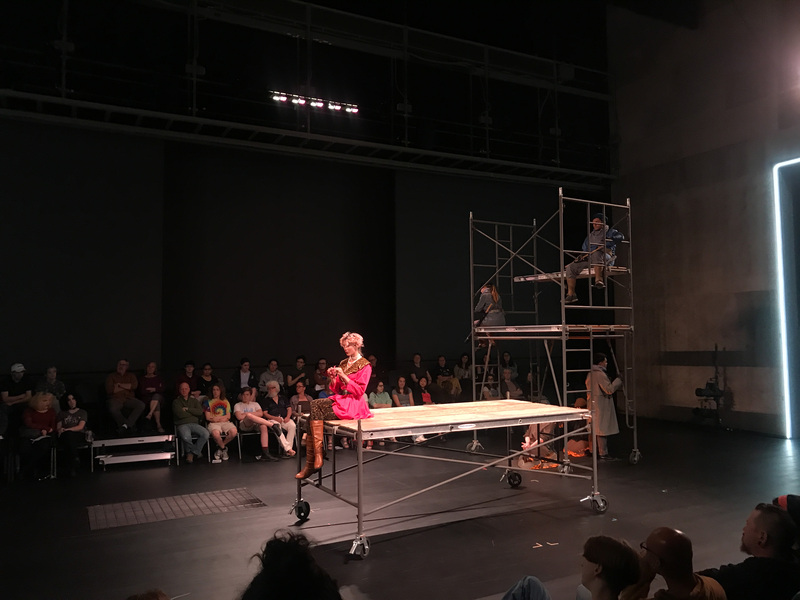 As Rosaura, Maddie Ulevich ’19 showed range and metamorphosis as her character shifted in self-presentation throughout the show. Clotaldo (Adam Rahman ’20) was a fearsome guard yet, in the end, a loyal father to Rosaura despite having deserted her. Astolfo and Estrella provided an odd romance full of jealousy and humor. 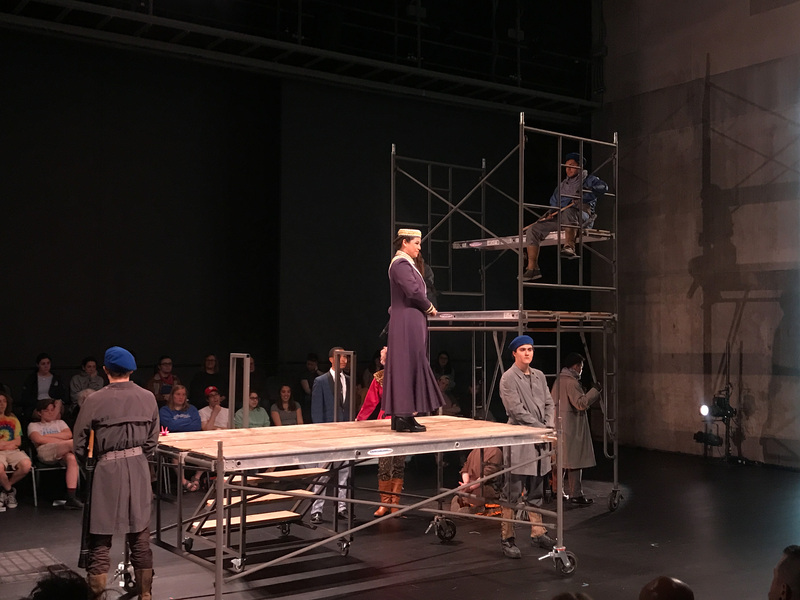 Basilio, played by visiting student Vianca Pérez, evoked the power, firmness, and mass adoration of an Eva Perón or a Caesar. This cast slipped seamlessly into their roles, making the story immersive and believable. 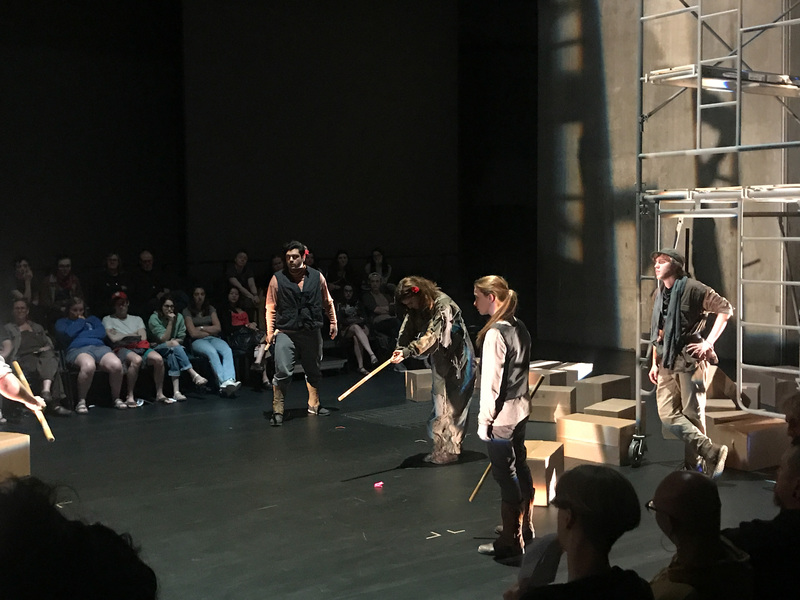 Bits of the play followed the traditions of Shakespeare but with heavier weight on the philosophical, existential, “fate-or-free-will” side than on the side of plot. 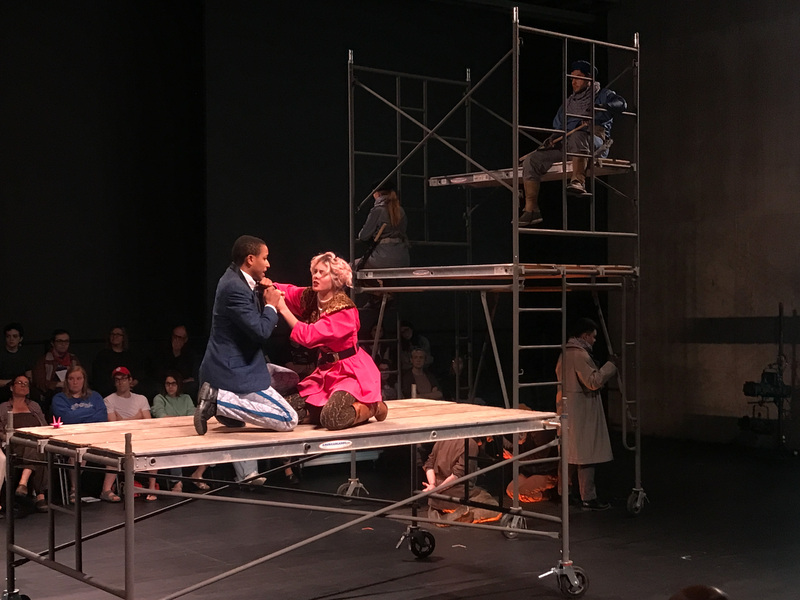 Elements such as the ending with a (double) wedding, the humorous servant, and the dramatic irony regarding the identity of a character are recognizable from other classic plays. However, it is not the plot itself but questions posed that remain with the audience after the curtain falls. How does each of us know we are not dreaming? Is life merely comprised of a string of dreams? How far must one go for revenge? What is fated, and what do we have the power to change? 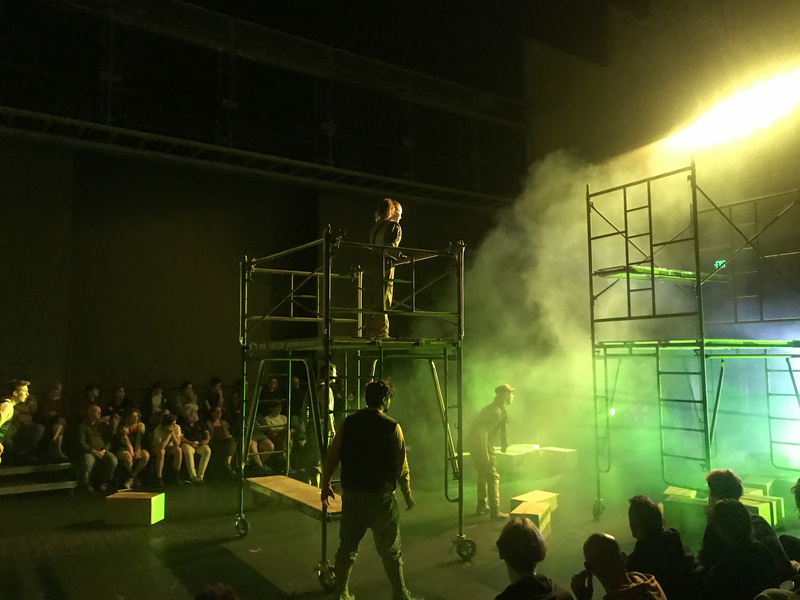 The show is a land mine of philosophical and existential questions, begging of the viewer to examine the world around them. Are all of us simply dreamers?